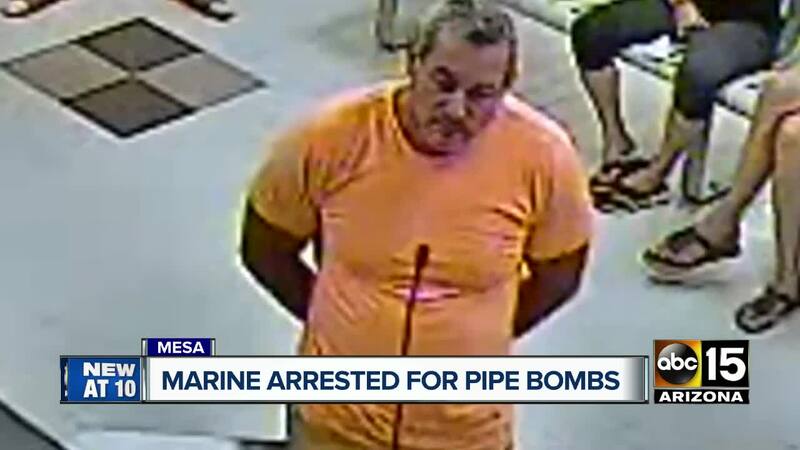 A Mesa man was arrested after authorities learned that he was in possession of prohibited weapons; specifically pipe bombs. On Wednesday, an Arizona Department of Public Safety led task force, including ATF agents and Phoenix police, conducted a traffic stop on 51-year-old Jeffrey Metcalf. 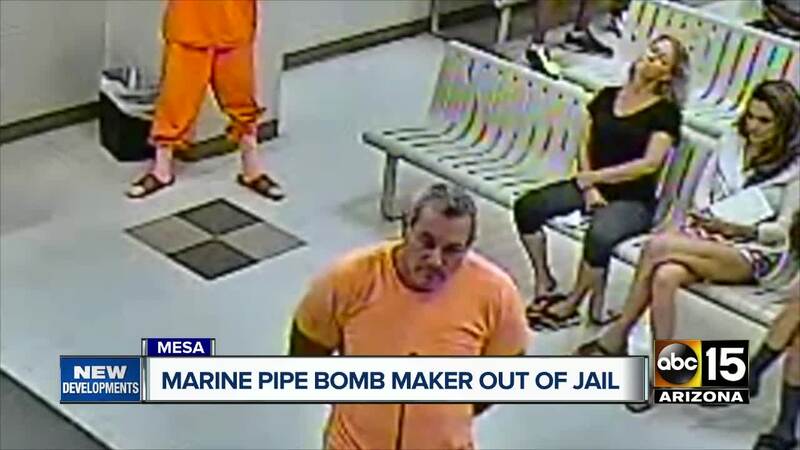 Police found bomb-making materials inside his vehicle and learned that Metcalf also had pipe bombs at his residence. Metcalf reportedly told officials that he intended to dispose all of them into an undisclosed body of water. After conducting a search warrant of Metcalf's residence, authorities recovered 42 pipe bombs along with materials used for manufacturing another possible 30 bombs. It was determined the devices were designed to have enhanced lethality because Metcalf added shrapnel to each device either internally or externally, DPS said. The task force, with the assistance of the Mesa Police Department, briefly evacuated homes while they safely removed the bombs to a disposal area. One of Metcalf's neighbors, Craig Henry, said he and his family were evacuated for several hours without ever receiving an explanation. "He was pretty open that he had PTSD and that's why he was separated from the military," Henry said. "You don't make bombs just for the practice, no, he obviously had something in mind to use them for." “This situation could’ve had tragic consequences had it not been for the excellent work of DPS detectives, our counterparts at Phoenix and Mesa Police along with ATF. The investigation was yet another shining example of the unparalleled cooperation we enjoy in Arizona between local, state and federal law enforcement agencies”, said Colonel Frank Milstead, Director of the Arizona Department of Public Safety. Metcalf is facing 40 counts of prohibited weapons- manufacturing, possession, and selling charges. "The cooperative efforts of the AZDPS task force worked quickly and decisively to ensure public safety was not compromised", said ATF Phoenix Field Division Special Agent in Charge John Durastanti.